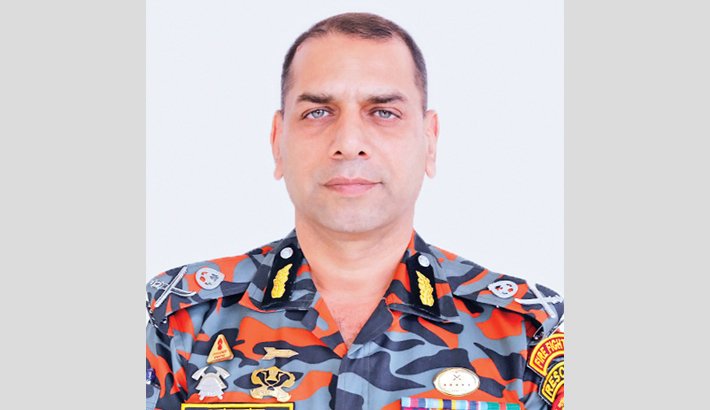 Newly-appointed Director General (DG) of Fire Service and Civil Defence (FSCD) Brigadier General Md Sazzad Hussain formally took his office on Monday. The FSCD arranged a farewell and fresher reception for bidding the outgoing DG goodbye and welcoming the newly one at its headquarters in the capital. New DG Sazzad Hussain said he would try to keep up the pace of development of FSCD and extend the field of services much more. He also expressed respects to those who were killed on this night in 1971 by Pakistani occupation forces. The outgoing DG Brigadier General Ali Ahmed Khan described his memories during his long time duty in the FSCD. Major AKM Shakil Newaz, director (operations and maintenance), Lt Col SM Julfikar Rahman, director (training, planning and development) and other officers of the fire service spoke on the occasion.